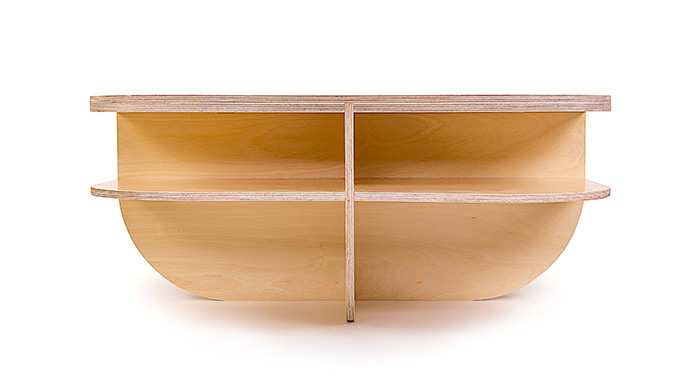 Flat-Pack designs by Gerard de Hoop for CNC FURNITURE. SHELFIE is an open bookcase. 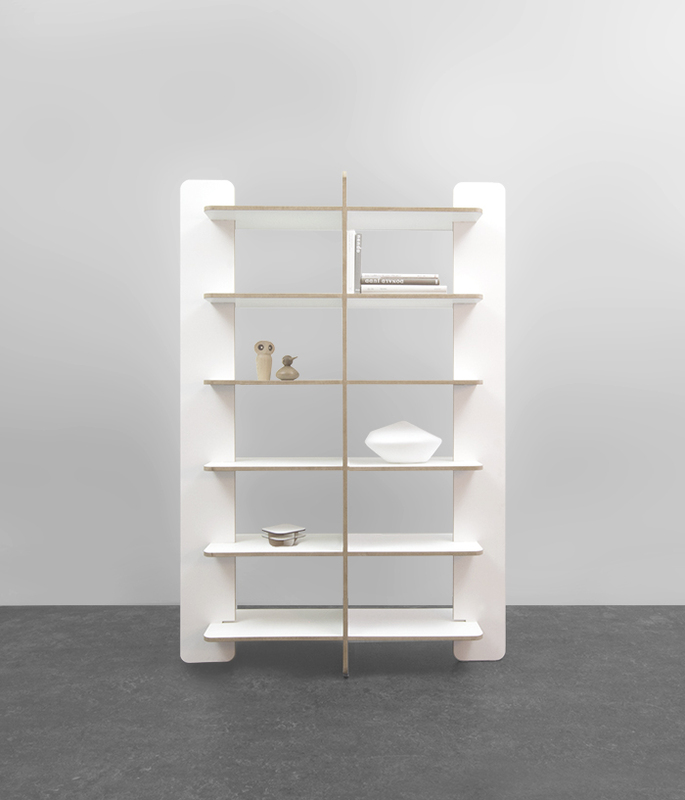 Because the side panels are perpendicular to the shelves, the objects in the cabinet can also be viewed from the side. 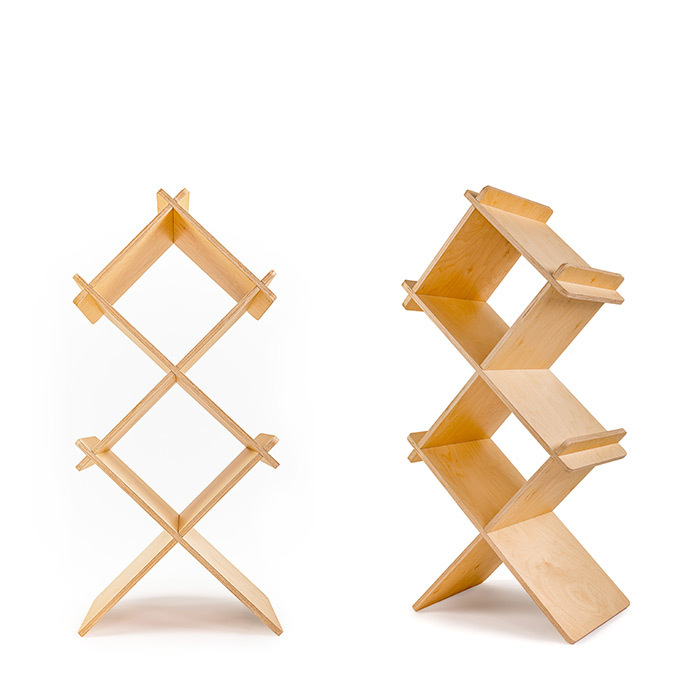 From every view angle, the bookcase looks surprisingly different. 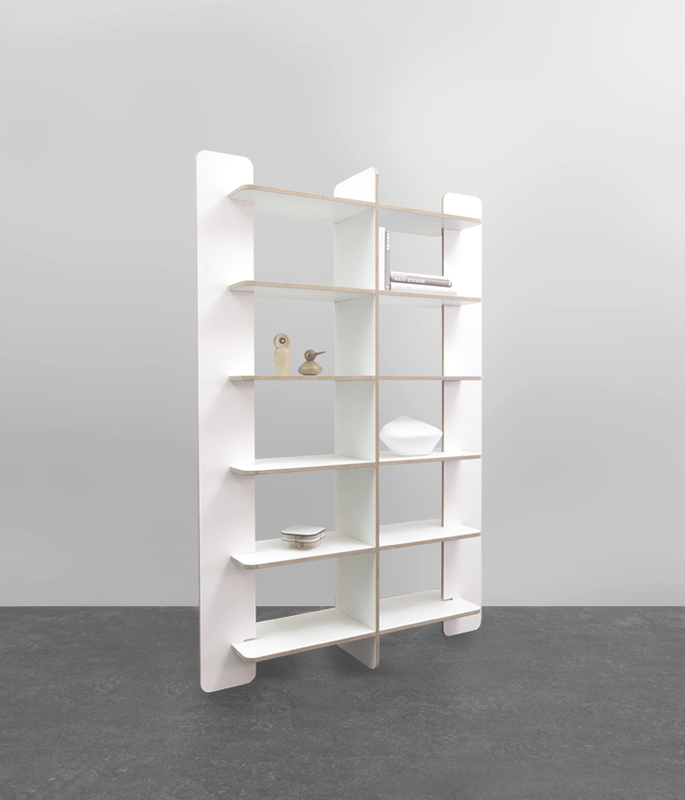 SHELFIE is delivered as a flat-pack and can be assembled without fasteners (screws or glue). 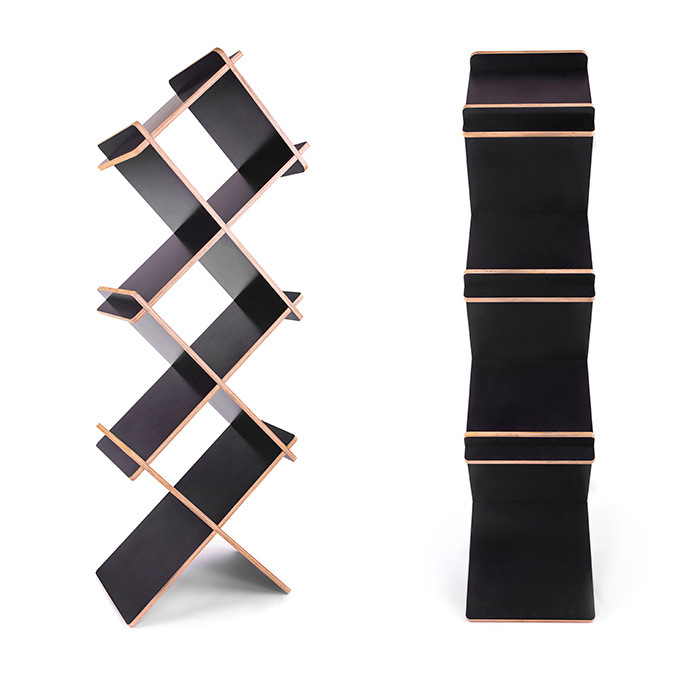 LEBOCA is a book and folder cabinet. Ideal for use at trade fairs and exhibitions to showcase brochures and books. 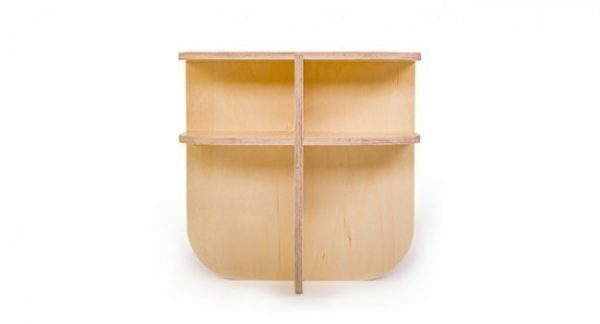 Also for offices and other interiors, this case is an elegant and practical piece of furniture. 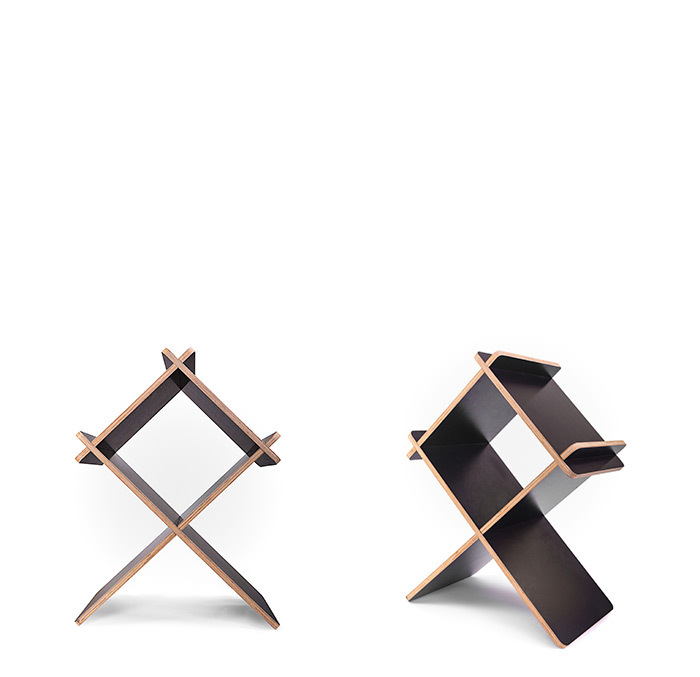 The LEBOCA cabinet is a flatpack and easy to assemble without any fasteners. 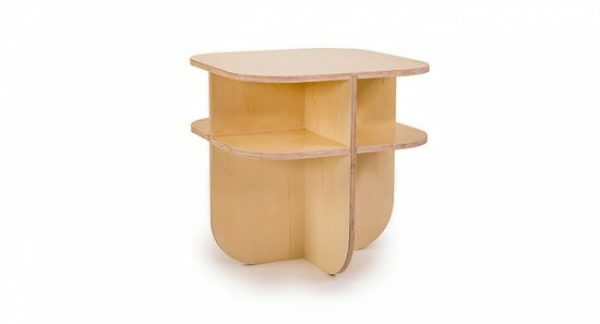 BI-WING coffee- and side tables have two square tabletops with rounded corners. The lower tabletop is suitable for, among other magazines and remote controls. 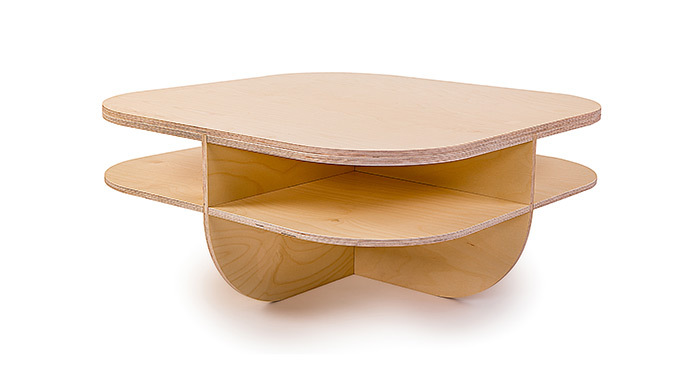 The table BI-WING is delivered as a flat-pack and can be easily assembled.